Happy 21st birthday to the coffee stain. But there is still much for us to learn 21 years after the first paper on the coffee stain was published. On the 23rd October, 1997, a paper was published in the journal Nature titled “Capillary flow as the cause of ring stains from dried liquid drops.” The title is in the dry style that scientific papers can be written. An alternative title could have been “How coffee stains form”*. Perhaps you would think, surely someone had known how coffee stains formed before 1997? And maybe you would go on to think: certainly 21 years later in 2018, we’d know all there was to know about the coffee stain? I hope that readers of Bean Thinking would not think “who cares about coffee stains?”, but I wonder whether it was the combination of disinterest and assuming that someone somewhere surely knew how they formed that meant it took until 1997 for anyone to ask the question: well how do they form? Coffee is a very popular drink among scientists, though even this does not explain how popular this paper has become. A paper’s popularity can be measured in ‘number of citations’ which tells you how many times other authors have found this piece of work important enough to reference it in their own published paper. As of early November 2018, this paper has been cited nearly 3300 times. Why? Well, there seem to be at least two reasons. Firstly, it turns out that the coffee stain effect is of enormous technological relevance; it may even have been used in the manufacture of the device you are using to read this website. But secondly even now, 21 years later, we still don’t understand what is going on, there is still much to learn and some of it is some very subtle and very beautiful physics. 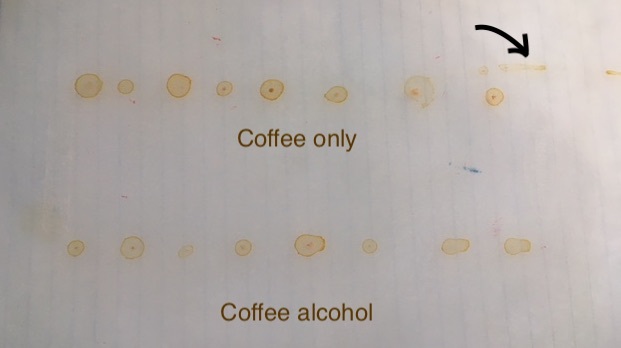 What happens when you form coffee stains using drops containing two liquids (alcohol and water) compared to just one (water)? Very recently for example, a new paper was published in Physical Review Letters. This one was titled “Density-driven flows in evaporating binary liquid droplets“. 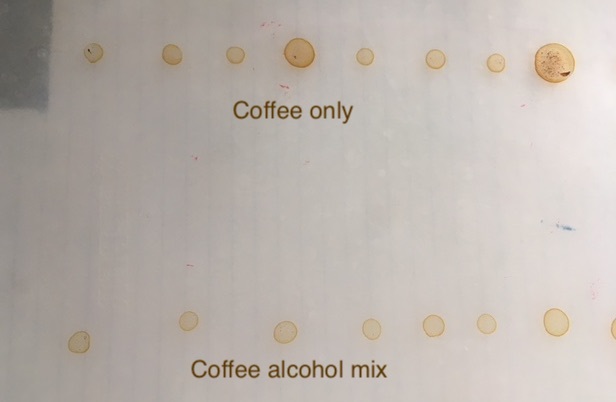 Another exciting title, another time we’ll retitle it for the purposes of this post: “what happens when you mix alcohol with a coffee type suspension, dry it at different angles and film it drying.” Arguably this time the given title is more succinct. Why does it make a difference if you add alcohol to your coffee rather than just drink it straight (the coffee, not the alcohol)? And what happens to the resulting coffee stain? Maybe of an evening you’ve been relaxing with a glass of wine, or something stronger, and noticed the “legs” rising up the glass. Their formation and appearance is due to the differing surface tensions between alcohol and water and the fact that alcohol evaporates more easily than water, you can read more about that effect here. The point is that because of the difference in surface tension between alcohol and water, you get a flow of liquid from areas of low surface tension (higher alcohol content) to high surface tension (high water content). And it was this that had been thought to drive coffee stain formation in droplets which were a mix of liquids, water and alcohol for example. But how do you isolate this effect from the other effect in which alcohol evaporates more quickly than water and so there are changes in density and buoyancy of the droplet? Drying droplets upside down. The things we do for coffee science. To answer this you could add n-butanol to the water (or coffee) rather than alcohol. Just like ethanol based alcohol (the sort you may get in gin), n-butanol has a much lower surface tension and lower density than water but unlike alcohol, it evaporates much less readily than water. So, in a water-butanol mix it will be the water that goes first, while exactly the opposite will happen for an alcohol-water mix. In a drying droplet, the liquid evaporates most quickly from the edge of the drop. Therefore, after an initial, chaotic stage (imaginatively called stage I), you will end up with a droplet that is water rich around its rim in the alcohol-water mix but n-butanol rich around the droplet edge in an n-butanol-water mix (stage II). This suggests a way that you can distinguish the flows in the drop due to surface tension effects from those due to the differences in density between water and alcohol/n-butanol. How would you test it? One way would be to compare the droplets evaporating as if you had spilled them on the table top with droplets evaporating ‘upside-down’, as if you had tipped the table by 180° after spilling your coffee. You can then watch the flow by taking many photographs with a camera. In this way you would be able to test whether it was surface tension flow (which should be in the same direction within the drop whether the droplet is upright or suspended) with gravity driven flow which should be opposite (the drop is upside down after all). A cartoon of the flow found in droplets of alcohol and water mix. When upright, the flow is up through the centre of the drop and down the sides. This is expected for both surface tension based flows and flows due to gravity. When upside down, the flow is still upwards through the centre of the drop but this time the drop is upside down. So this is what you’d expect if the dense water at the edge of the drop flowed downwards (gravity based) but not if the flow were dominated by surface tension effects which should be the same, relative to the drop-interface as if the drop were upright. The authors of the study did this and found that the flow in upright drops of alcohol-water was opposite to that in n-butanol-water drops. This is what is expected both in surface tension dominated flow and in gravity dominated flow. 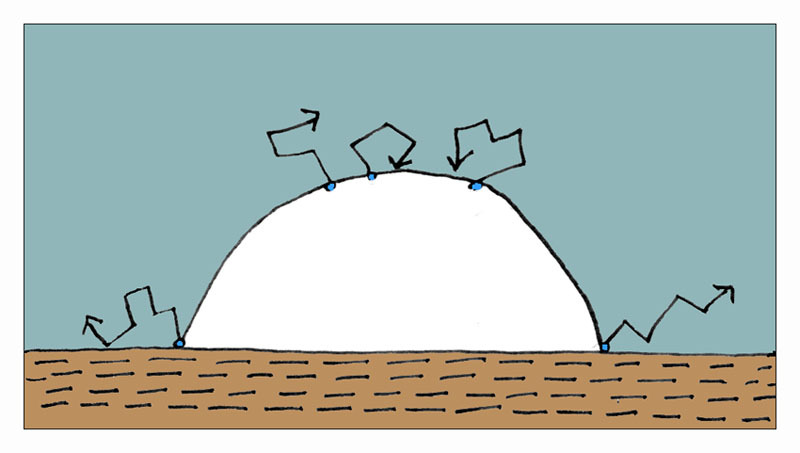 But, when the drops were inverted, the flow within the droplet did not change absolute direction, instead it changed direction relative to the substrate (it may be helpful to see the cartoon), in both droplet types. Expected for a gravity driven flow (dense liquids move downwards), this is exactly the opposite to what would be expected with surface tension driven flow. It is sensible to conclude that the flow in drying droplets containing two liquid types is dominated by gravity, or as the authors phrased it “density-driven flows in evaporating binary liquid droplets”. The resultant coffee stains of drops that had been suspended upside down. They seem fairly similar to the upright ones with the exception of the central dot in many of the stains. The arrow shows some coffee that spilled down the surface as the tray was flipped over. While the authors did a lovely job of watching the flows within the droplet, what happened to the the actual coffee stain? It could prompt us to do an experiment at home. How does adding alcohol affect the appearance of a coffee stain if the drop is upright compared to if you turned the drops all upside down? What happens if the droplet is not held upside down but instead at an angle to the vertical? There are many ways you could play with this result, see what happens, have a glass of wine and see if that gives you any insight into what you see with your coffee. As ever, have fun and if you do get any interesting results, please do let me know here, on twitter or over on FB. Why does it form a ring? It is twenty years since Sidney Nagel and colleagues at the University of Chicago started to work on the “Coffee Ring” problem. When spilled coffee dries, it forms rings rather than blobs of dried coffee. Why does it do that? Why doesn’t it just form into a homogeneous mass of brown dried coffee? Surely someone knew the answer to these questions? Well, it turns out that until 1997 no one had asked these questions. Did we all assume that someone somewhere knew? A bit like those ubiquitous white mists that form on hot drinks, surely someone knew what they were? (They didn’t, the paper looking at those only came out two years ago and is here). Unlike the white mists though, coffee rings are of enormous technological importance. Many of our electronic devices are now printed with electrically conducting ink. As anyone who still writes with a fountain pen may be aware, it is not just coffee that forms ‘coffee rings’. Ink too can form rings as it dries. This is true whether the ink is from a pen or a specially made electrically conducting ink. We need to know how coffee rings form so that we can know how to stop them forming when we print our latest gadgets. This probably helps to explain why Nagel’s paper suggesting a mechanism for coffee ring formation has been cited thousands (>2000) of times since it was published. More information on the formation of coffee rings (and some experiments that you can do with them on your work top) can be found here. Instead, for today’s Daily Grind, I’d like to focus on how to avoid the coffee ring effect and the fact that bacteria beat us to it. By many years. There is a bacteria called Pseudomonas aeruginosa (P. aeruginosa for short) that has been subverting the coffee ring effect in order to survive. 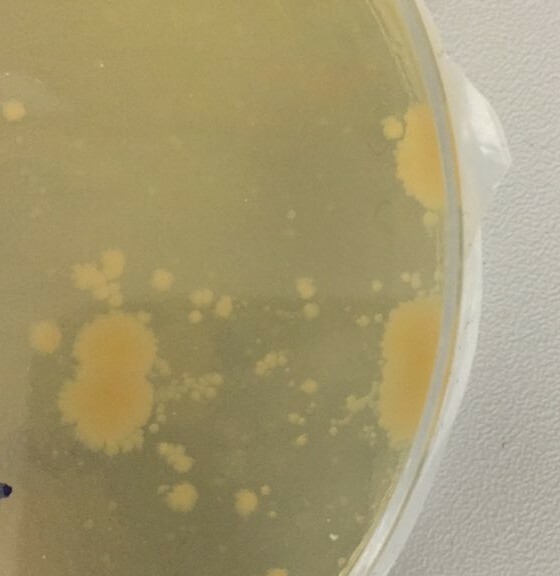 Although P. aeruginosa is fairly harmless for healthy individuals, it can affect people with compromised immune systems (such as some patients in hospitals). 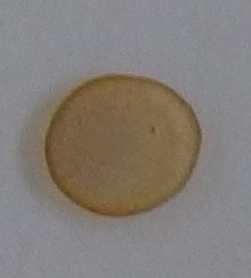 Often water borne, if P. aeruginosa had not found a way around the coffee ring effect, as the water hosting it dried, it would, like the coffee, be forced into a ring on the edge of the drop. Instead, drying water droplets that contain P. aeruginosa deposit the bacteria uniformly across the drop’s footprint, maximising the bacteria’s survival and, unfortunately for us, infection potential. The bacteria can do this because they produce a surfactant that they inject into the water surrounding them. A surfactant is any substance that reduces the surface tension of a liquid. Soap is a surfactant and can be used to illustrate what the bacteria are doing (but with coffee). At the core of the bacteria’s survival mechanism is something called the Marangoni effect. This is the liquid flow that is caused by a gradient in surface tension; there is a flow of water from a region of lower surface tension to a region of higher surface tension. If we float a coffee bean on a dish of water and then drop some soap behind it, the bean accelerates away from the dripped drop (see video). The soap lowers the surface tension in the area around it causing a flow of water (that carries the bean) away from the soap drop. If now you can imagine thousands of bacteria in a liquid drop ejecting tiny amounts of surfactant into the drop, you can hopefully see in your mind’s eye that the water flow in the drying droplet is going to get quite turbulent. Lots of little eddies will form as the water flows from areas of high surface tension to areas of low surface tension. 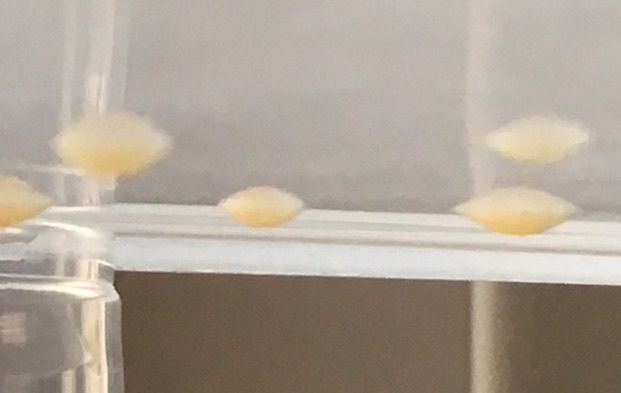 These eddies will carry the bacteria with them counteracting the more linear flow from the top of the droplet to the edges (caused by the evaporation of the droplet) that drives the normal coffee ring formation. Consequently, rather than get carried to the edge of the drop, the bacteria are constantly moved around it and so when the drop finally dries, they will be more uniformly spread over the circle of the drop’s footprint. Incidentally, the addition of a surfactant is one way that electronics can now be printed so as to avoid coffee ring staining effects. However, it is amusing and somewhat thought provoking to consider that the experimentalist bacteria had discovered this long before us. We have all seen them: Dried patches of coffee where you have spilled some of your precious brew. The edge of the dried drop is characteristically darker than the middle. It is as if the coffee in the drop has migrated to the edge and deposited into a ‘ring’. It turns out though that these coffee rings are not just an indication that you really ought to be cleaning up a bit more often. Coffee rings have huge consequences for the world we live in, particularly for consumer electronics. Various medical and diagnostic tests too need to account for coffee ring effects in order to be accurate. Indeed, coffee rings turn up everywhere and not just in coffee. Moreover, the physics behind coffee rings provides a surprising connection between coffee and the mathematics of bacteria growth. To find out why, we need to quickly recap how coffee rings form the way they do. When you spill some coffee on a table it forms into droplets. Small bits of dust or dirt or even microscopic cracks on the table surface then hold the drop in the position. We’d say that the drop is pinned in position. As the drop dries, the water evaporates from the droplet. The shape of the drop means that the water evaporates faster from the edges of the drop than from the top (for the reasons for this click here). But the drop is stuck (pinned) in position and so cannot shrink but instead has to get flatter as it dries. As the drop gets squashed, water flows from the centre of the drop to the edges. The water flow takes the coffee particles with it and so carries them to the edge of the drop where they deposit and form into a ring; the coffee ring. You can see more of how coffee rings form in the sequence of cartoons below and also here. 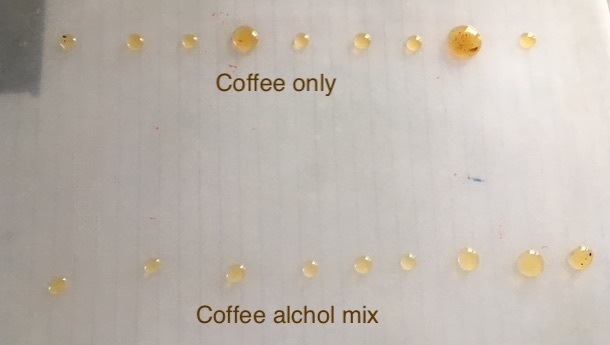 However in this quick explanation, we implicitly assumed that the coffee particles are more or less spherical, which turns out to be a good assumption for coffee. The link with the bacteria comes with a slightly different type of ‘coffee’ ring. What would happen if we replaced the spherical drops of coffee particles with elliptical or egg shaped particles? Would this make any difference to the shape of the coffee rings? In fact the difference is crucial. If the “coffee” particles were not spherical but were more elliptical, the coffee ring does not form. Instead, the elliptical particles produce a fairly uniform stain (you can see a video of drying drops here, yes someone really did video it). The reason this happens is in part due to a pretty cool trick of surface tension. Have you ever noticed how something floating on your coffee deforms the water surface around it? The elliptical particles do the same thing to the droplet as they flow towards the edge. (Indeed, the effect is related to what is known as the Cheerios effect). This deformation means that, rather than form a ring, the elliptical particles get stuck before reaching the edge and so produce a far more uniform ‘coffee’ stain when the water dries. By videoing many drying droplets (containing either spherical or elliptical particles), a team in the US found that they could describe drying drops containing elliptical particles with a mathematical equation called the Kardar-Parisi-Zhang equation (or KPZ for short). The KPZ equation is used to describe growth process such as how a cigarette paper burns or a liquid crystal grows. It also describes the growth of bacterial colonies. Varying the shape of the elliptical particles in the drying drop allows scientists to test the KPZ equation in a controllable way. Until the team in the US started to ask questions about how the coffee ring formed, it was very difficult to test the KPZ equation by varying parameters in it controllably. Changing the shape of the particles in a drying drop gives us a guide to understanding the mathematics that helps to describe how bacterial colonies grow. And that is a connection between coffee and bacteria that I do not mind. As ever, please leave any comments in the comments section below. If you have an idea for a connection between coffee and an area of science that you think should be included on the Daily Grind, or if you have a cafe that you think deserves a cafe-physics review, please let me know here.